Making your own fresh, unprocessed baby food is as easy as “setting it and forgetting it” when you enlist your multi-cooker or slow cooker Here, Jenna Helwig, author of Real Baby Food and Baby-Led Feeding and the food editor at Parents magazine, shares 100 recipes to nurture your baby’s development and cultivate wholesome family mealtimes. Best of all, making baby food in a multi-cooker or slow cooker gives you the gift new parents need most—time: You simply put the food in the pot, set the time, and walk away. 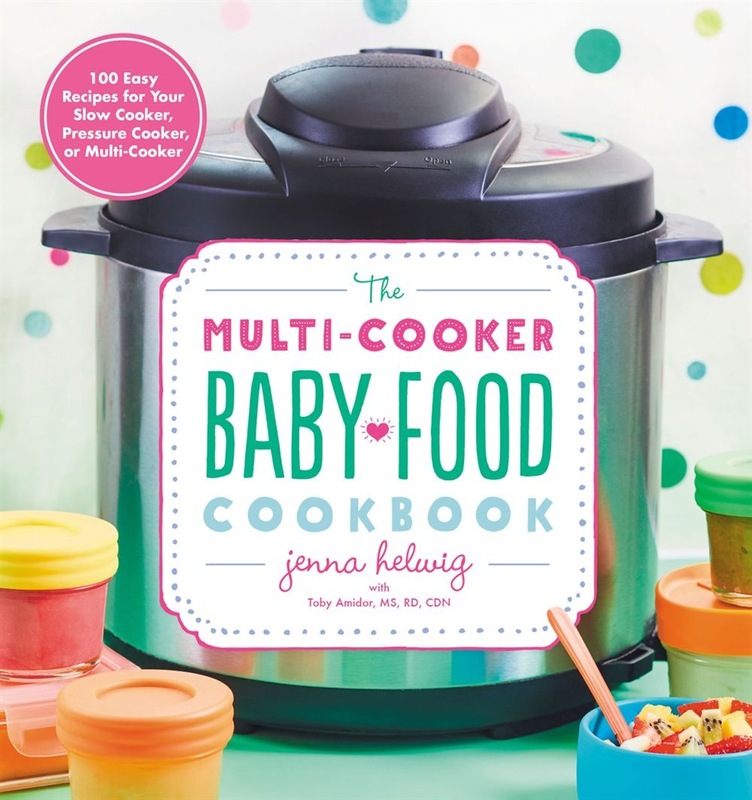 Here are some of the great reasons to make your own baby food using a multi-cooker: **•**You’re in control: You’re not limited by the varieties on supermarket shelves and can customize foods for your baby. **•**It’s easy and convenient: Most recipes require just one pot, and the machine does all the work for you. Many of these recipes are ready in 30 minutes or less. **•**The timing is flexible: Many of the recipes can be made fast or slow using either a pressure or slow cooker—flexibility that’s priceless when you’re juggling irregular schedules. **•**It’s economical: Making your own is much less expensive than buying the same amount of jarred baby food. **•**It saves time: Make and store big batches, and you’ll have dinner at the ready for weeks. From starter foods to family meals, recipes include DIY staples like yogurt; single-ingredient fruit and veggie purées; finger foods like Purple Sweet Potato Patties, Blueberry Banana Bread, and Chicken Nuggets; and toddler-friendly meals like Cauliflower Mac ’n’ Cheese, Meatballs, and Savory Steel-Cut Oats. All recipes are vetted by a registered dietitian and include nutritional information to help ensure healthy mealtimes. 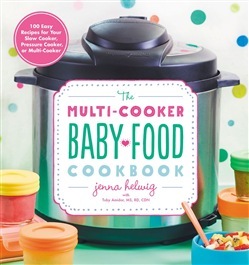 Acquista The Multi-Cooker Baby Food Cookbook in Epub: dopo aver letto l’ebook The Multi-Cooker Baby Food Cookbook di Jenna Helwig ti invitiamo a lasciarci una Recensione qui sotto: sarà utile agli utenti che non abbiano ancora letto questo libro e che vogliano avere delle opinioni altrui. L’opinione su di un libro è molto soggettiva e per questo leggere eventuali recensioni negative non ci dovrà frenare dall’acquisto, anzi dovrà spingerci ad acquistare il libro in fretta per poter dire la nostra ed eventualmente smentire quanto commentato da altri, contribuendo ad arricchire più possibile i commenti e dare sempre più spunti di confronto al pubblico online.